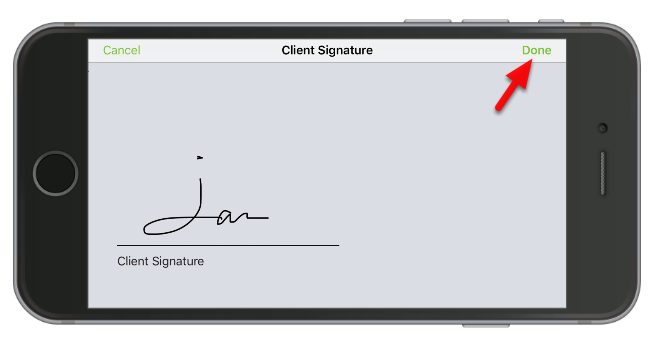 Ask the customer to sign your device, and tap Done button to confirm the signature is correct. 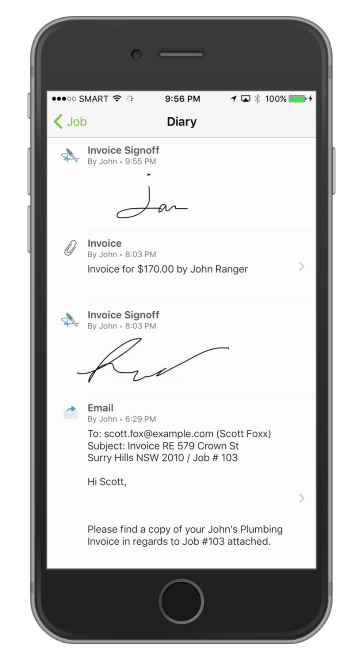 Where is the signature stored for future reference? 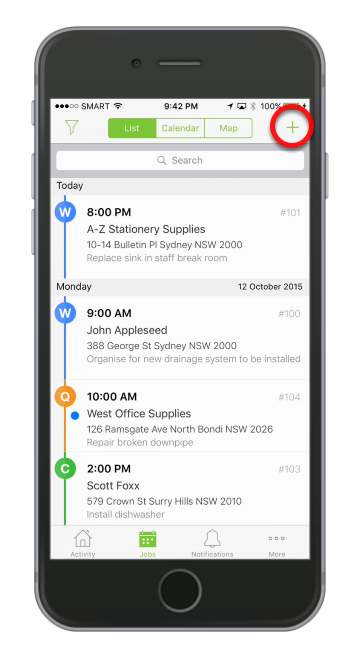 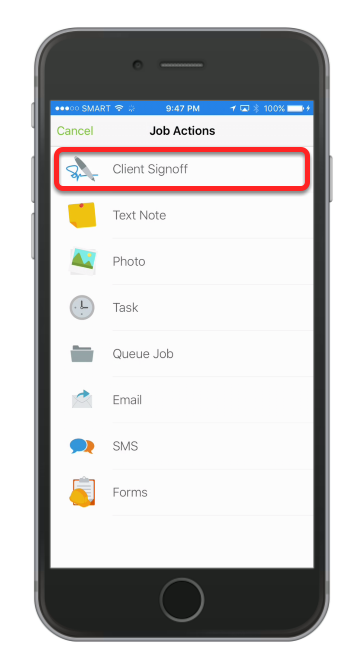 The customers signature is stored in the job diary as part of the job's permanent record.